Pranab Mukherjee said in his new book 'The Coalition Years' that she had built her career fearlessly and aggressively and was the "outcome of her own struggle". Pranab Mukherjee has described Mamata Banerjee as a "born rebel". 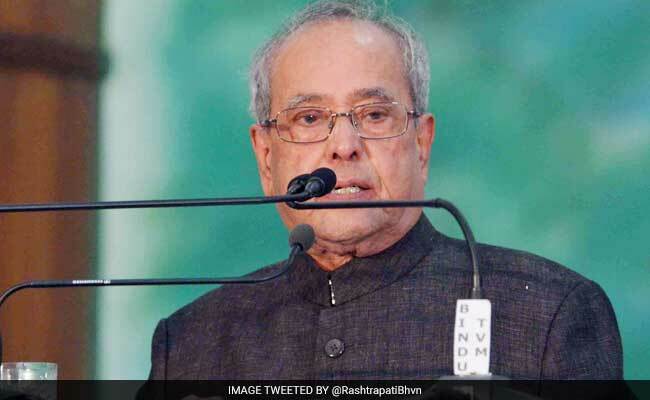 Former President Pranab Mukherjee has described Mamata Banerjee as a "born rebel" and recalled how she once stormed out of a meeting, leaving him feeling "humiliated and insulted". Noting that there was an aura about her which was "difficult to explain but impossible to ignore", Mr Mukherjee said in his new book 'The Coalition Years' that she had built her career fearlessly and aggressively and was the "outcome of her own struggle". "Mamata Banerjee is a born rebel," he wrote, adding that nothing illustrated this trait better than an episode in the West Bengal Congress organisational election in 1992, in which she was defeated. He recollected how she suddenly changed her mind and demanded open elections in the party unit. The former president recalled that after media reports said the top leaders of the West Bengal Congress, including Banerjee, wanted a consensus election to avoid an open contest that could bring out "ugly factionalism" in the party, then prime minister and Congress chief P V Narasimha Rao asked him to mediate and find a solution. "One day, during the winter of that year, I requested Mamata Banerjee for a meeting to discuss some of the observations she had made about the process (of organisational elections). "During the discussion, Mamata suddenly flared up and accused me along with other leaders of a conspiracy against her. She now demanded organisational election, and said she had always stood for elections so that grass-roots level workers could have their say in organisational matters," he said in the book. Ms Banerjee went on to accuse him and others of "distributing organisational positions" among themselves, "thereby thwarting the electoral process", he wrote. Mr Mukherjee said he was "flabbergasted by her reaction and wild allegations" and told her that a compromise formula was being devised at the request of the leaders, including her. But she claimed she was totally opposed to his approach and wanted open elections, he said. "Having said that she left the meeting in a huff. I was stunned and felt humiliated and insulted," he said. The former president said she lost by a very narrow margin to Somen Mitra in the election for the post of the WBPCC president held through a secret ballot. "I was present when that result was announced. An angry Mamata came up to me and asked, 'Are you happy? Has your desire to defeat me been fulfilled?' I told her that she was totally mistaken," Mr Mukherjee recalled. West Bengal. "She has built her own career - fearlessly and aggressively - and what she is today is the outcome of her own struggle, labour and hard work. She has an aura about her which is difficult to explain but impossible to ignore," he said. Mr Mukherjee described her victory in the 1984 Lok Sabha when she defeated CPI(M)'s Somnath Chatterjee from Jadavpur, a constituency that was considered a citadel of the Marxist party. "This was a splendid victory and she appeared to be truly a giant killer. Throughout her subsequent political life, she has always faced tough challenges bravely and tried to convert them into opportunities," he said.